We headed to Le Chateau for the last few days of our 2010 Nakation. Le Château is our favourite Naturist B&B just 2 and 1/2 hours from Sydney. It is like a mini resort with pool, tennis court, spa, sauna and gym. Of course there is also a sports bar with billiard table to enjoy the time honored tradition of "happy hour". 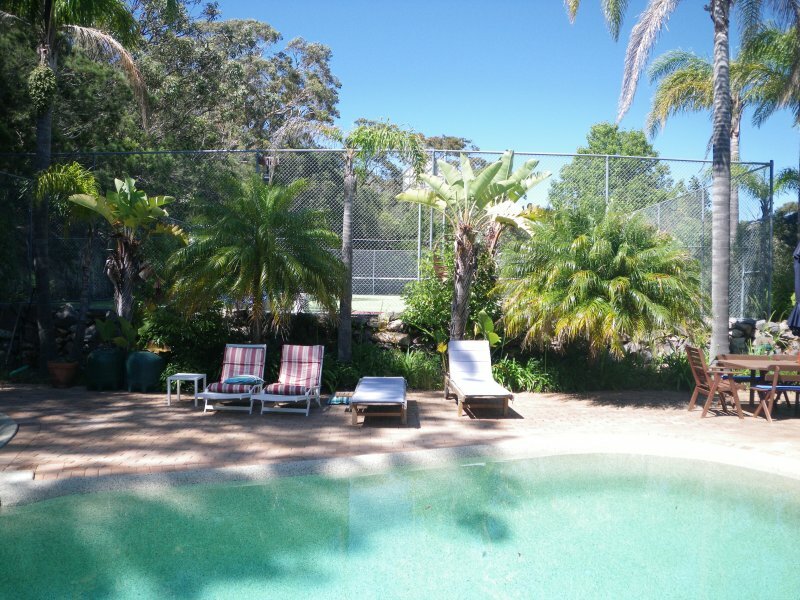 Overlooking Nelson Bay it houses a maximum of 4 couples in themed bedrooms one with an ensuite the others share a bathroom. Our hosts Twiggy and Jim were as usual very welcoming and we met up with 3 other couples staying there who once again were delightful company reinforcing the diversity of people that have found the joys of clothes free living. The reality of the end of this break away is now upon us and on reflection we have been fortunate that, although the weather has been patchy, the vast majority of our time has been spent clothes-free in some unique and very beautiful places. I must say the prospect of being back in the air-conditioned office with suit and tie Is not appealing. We trust that the reviews and information that we have provided will help when you plan your next Nakation. 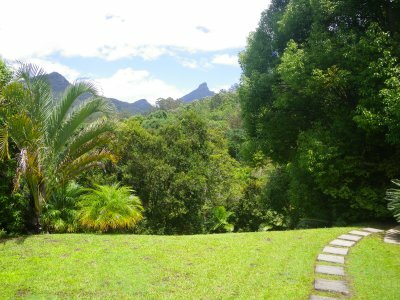 Our next stop was Amazing Wollumbin Plams Retreat, booked as a surprise for my wife, nestled in the shadow of Mt Warning or Wollumbin its Aboriginal name. Another "Naturist friendly" resort. 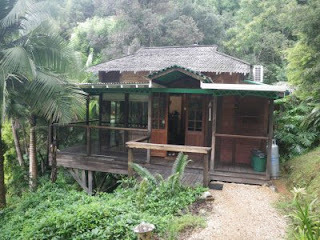 We arrived and were shown the "Water Lodge" one of 3 lodges available on the property. This lodge has as its feature ceilings and timbers taken from the prayer rooms of a Royal building in Java and are reportedly 300 years old. Surrounded by a verandah on 3 sides there is a kitchen/loungeroom with these vaulted ornamental ceilings, a breezeway which backs on to the rainforest and has a spa bath, BBQ and large table and chairs, then finally a bedroom again with the ornamental ceilings anf a king size bed suspended by chains from the ceiling. The bathroom had a shower recess that is full height glass on 2 sides that overlooks the forest and the creek that feeds a large dam that is in front of the lodge. 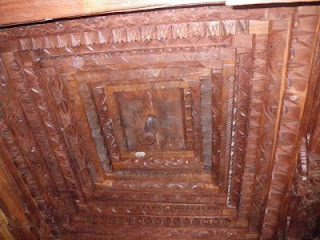 Our first night was not a good one as who would have known that my wife had an allergy to 300 year old teak! Fortunately our hosts Cassey and Phil when told if the issue were able to make some changes and we moved for the following 3 nights to a lodge that was not made of timber but cut into the side of a hill that they call Earth. This was a most unique experience and in many ways better than Water and it suited our Naturist lifestyle better by being even more private. 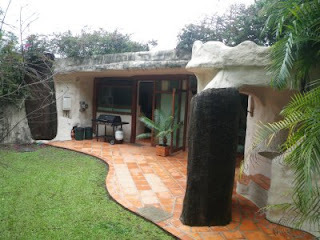 If you think of the Flintstone's house crossed with a 5 star lodge and you will start go get the picture. 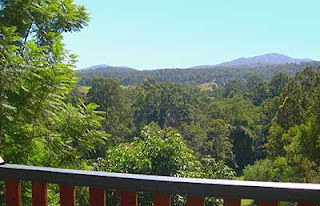 From the bed you look out on to a delightful patio and lawn and then to a beautiful view if Mt Warning. The lodge has skylights that protrude through the grassed roof above and next to where you park the car. Again there is an outdoor spa bath and also an external shower this time on a rear patio. 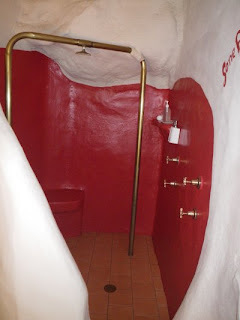 The inside bathroom is designed with a large grotto like shower recess that has a large inverted "U" shaped copper pipe arrangement with the shower head on the top and small spay heads down the side to provide a most unusual shower experience. 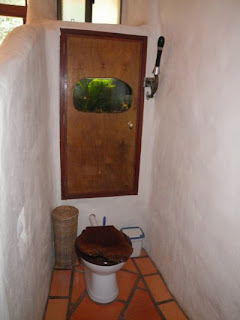 Before we leave the bathroom the toilet cistern has a fish-tank in the front section that is operated by an old fashioned lever that came originally from an English pub where it was used to pull beers. Fresh baked bread is delivered daily and to provide the privacy of the guests it is delivered onto a table on the front patio via a hoist arrangement from the car park area above. Although not inexpensive you will have a most unique experience without forfeiting the Naturist lifestyle. 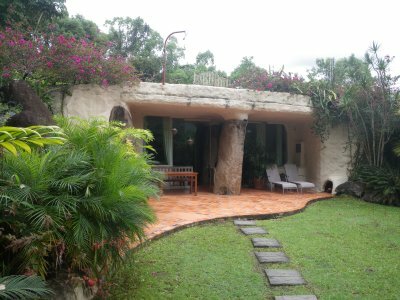 We can therefore recommend the Amazing Wollumbin Palms Retreat but would suggest a stay at the Earth lodge for the added privacy. Heading south again we had another overnight stay at Sylvan Glade where we met a Melbourne couple. 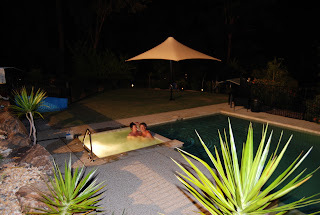 It never ceases to amaze me how friendly the people are that we meet at these Naturist B&Bs. Time to dust off the clothes as we made our way south again for a return visit to "Valleydale Cottage" in the hinterland behind Byron Bay. 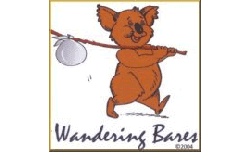 Although not Naturist (per se) it is very Naturist friendly. We spent 10 days, in 2 x 5day stays, there last year and did the same this time but as 10 days in a row. 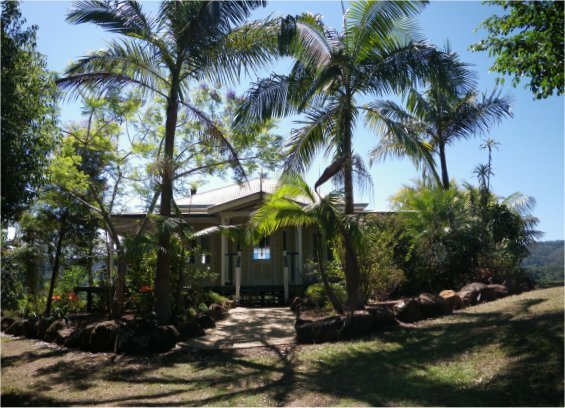 The cottage has a single bedroom large lounge/dining room, fully equipped kitchen, nice bathroom with two shower heads, wide verandas all round and a wonderful new spa. There is nothing like looking up at the stars, or if overcast feeling the light rain on your face, with a glass of bubbly in hand and luxuriating in a warm spa, it does't get better than this! Set back off the road the cottage it is very private so the only neighbours that you have are the cattle that wander past on occasion and the birds that visit. We are therefore free to live naked in this beautiful environment and to walk the acres with with all your senses opened out, feeling the sun and breeze or light rain on the body and appreciating being so much closer to nature. At dusk we would sit on the veranda and watch the sky change, the cows moving to their favourite spot for the evening, the noisy friarbird making his last visit to the grevilleas, the night sounds starting up and the call of the BBQ as we start to think of our evening meal. 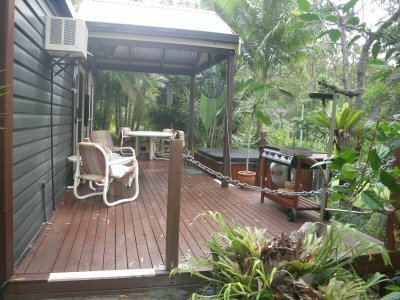 One of the nice things about Valleydale Cottage is that there is no TV or DVD and phone reception is only available on the veranda at one end and then can be patchy. Now while this may be seen as a negative, it is in fact liberating especially for someone who is on call 24/7 in fact it is a relief. The great thing is that you really start to appreciate the conversations that arise without the background static of a TV. All to soon it appeared (in a timeless sort of way) that it was time to leave. So we phoned our hosts Chris and Rosy as we left the cottage to say goodbye until our next stay. 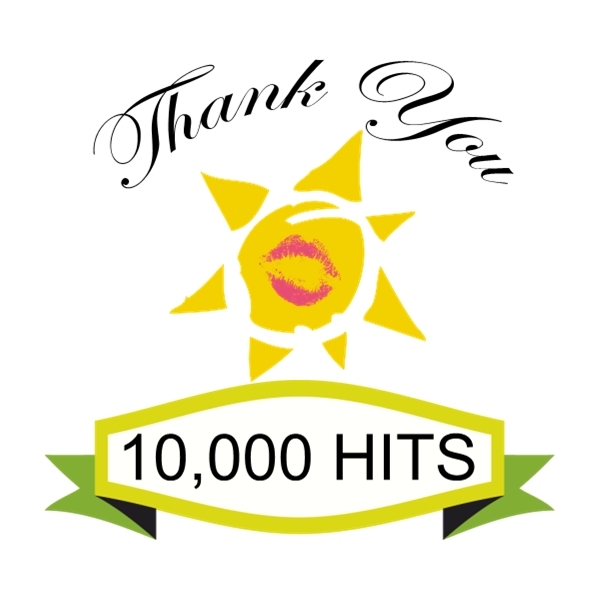 Thank you to all our readers. 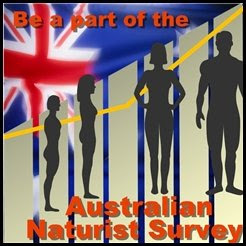 We hope that we have added to the positive information on and for our fellow Naturists and those that are considering trying Naturism. 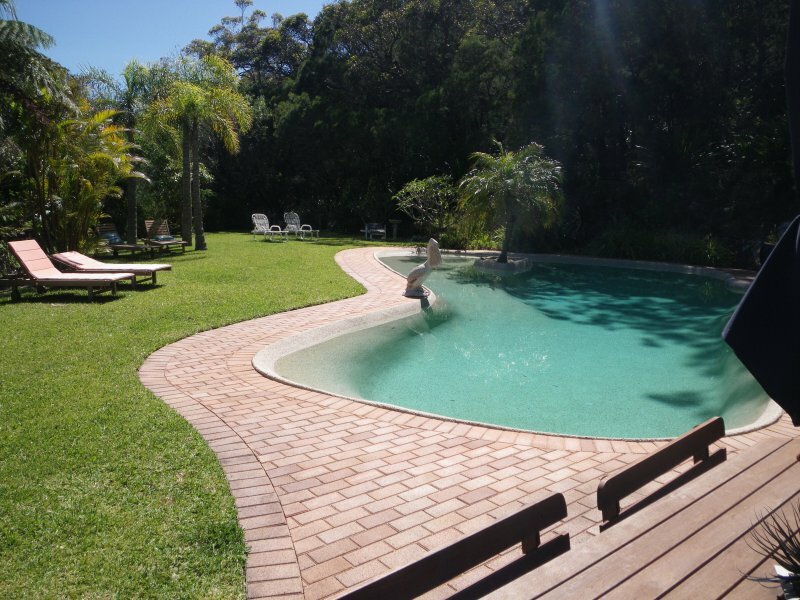 We next headed to a Naturist retreat called boBRENE that we had heard great things about located near Mt Tamborine in Queensland. Their website had stated that there was a variety of accommodation available and a phone call the previous day had secured us a stay on their luxury cottage. 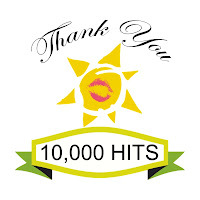 We were fortunate as you normally have to book in advance but as we were staying mid-week we were in luck. What a delightful find, Bob and Rene gave us a big welcome from the spa which as we found out later was their customary spot at that hour of the afternoon. Extricating himself Bob showed us the cottage and we settled ourselves in to what really is a home-away from home. All modern conveniences including sound system, TV / DVD Espresso Machine and on the front veranda a BBQ and beautiful Spa. After the drive a spa was certainly welcome. The next morning we were greeted with light rain but warm enough to be clothes-free. 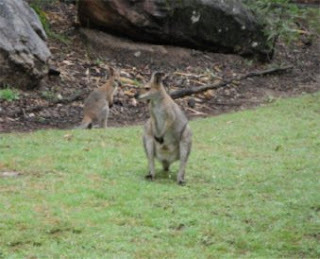 Out the cottage window we saw a wallaby and joey nibbling on grass only metres away. A quick grab of the camera and we got some great shots. In hindsight there was no hurry as these "locals" visit regularly which is a real joy although not when they eat Rene's Grevillea plants. 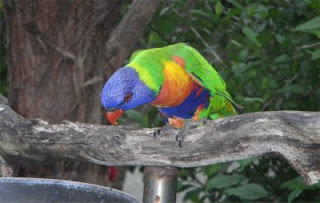 The bird life is also amazing King Parrots, lorrikeets, crows, ducks and many more. 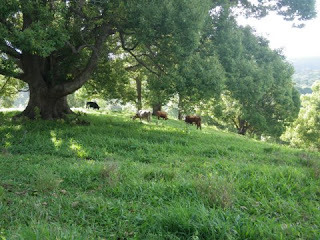 With only a small part of the property developed I took a brief stroll in the bush clad only in sandals. I have spent many hours over the years bush walking but until today had not experienced the absolute joy of walking through our beautiful Australian bush as nature intended. 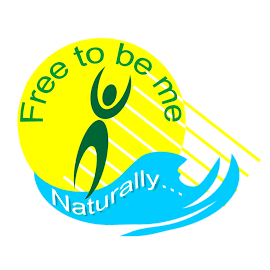 As with all our Naturist experiences how quickly one feels comfortable clothes-free in environments that have in the past just presumed to be clothed. A couple from New Zealand arrived and on our last night we enjoyed a BBQ with them plus Bob and Rene at the games room using a wood fired BBQ a most enjoyable evening to conclude our stay. Thanks Rene and Bob we plan to have a return visit to boBRENE as it is such a beautiful location with great amenities and hosts. We arranged holidays for most of November and decided that we would again head north from Sydney and to experience as much clothes-free time as possible, to revisit some places that we found last year and try out some new ones. 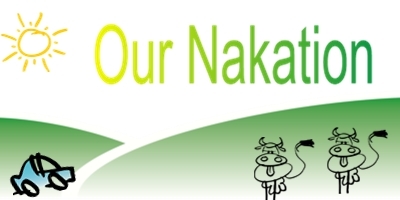 We have decided to give a brief summary of each of the places where we stayed during our Nakation with the view to assisting readers to plan their own naked getaway! With a very wet end of October and start of November we decided that we needed to be flexible. 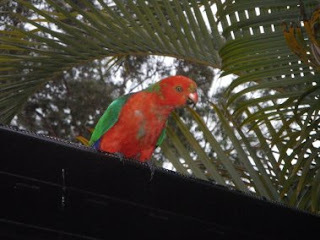 With heavy rain up and down the coast we delayed our departure by a day. 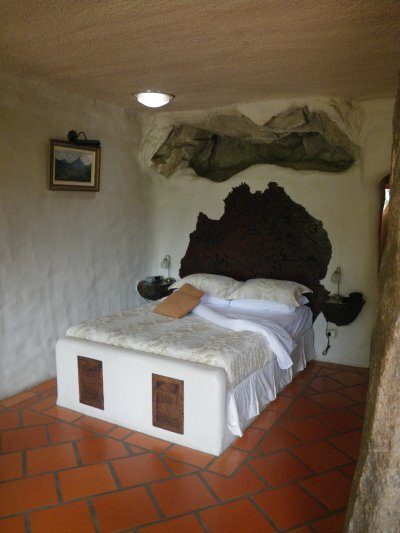 So over the next few posts we will look at a these naturist or naturist friendly places to stay. Finally heading off we decided to overnight at Port Macquarie and then head north chasing warmer temperatures and the Sun. The second and third weeks we had booked but the first week had became "flexible". We had a list of Naturist places with us so we decided to make some phone calls. 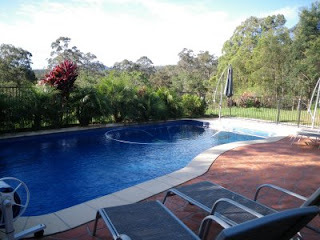 Last year we had stayed at Sylvan Glade a naturist B&B at Bowraville so we contacted Maureen and Lindsay and fortunately they had a night free so we look a leisurely run up to Bowraville which is almost exactly halfway between Sydney and Brisbane. 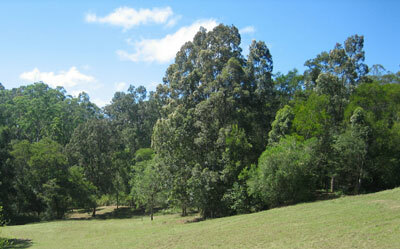 Sylvan Glade is a beautiful home set on acreage and on the side of a hill over looking a picturesque valley. 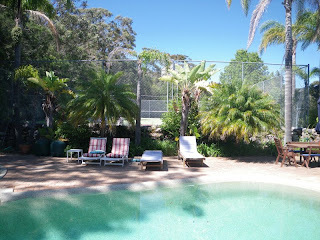 There are 2 rooms available both with ensuites and there is an in-ground pool and beautiful spa. It was good to catch up with Lindsay and Maureen again and with a clearing sky we caught some sun in the afternoon then had a BBQ dinner with some most enjoyable conversation. Breakfast is always a joy at Sylvan Glade with a beautifully cooked breakfast served on the veranda with the morning light playing on the valley below.